BricsCAD offers a whole new world for those who venture beyond the AutoCAD®horizon. 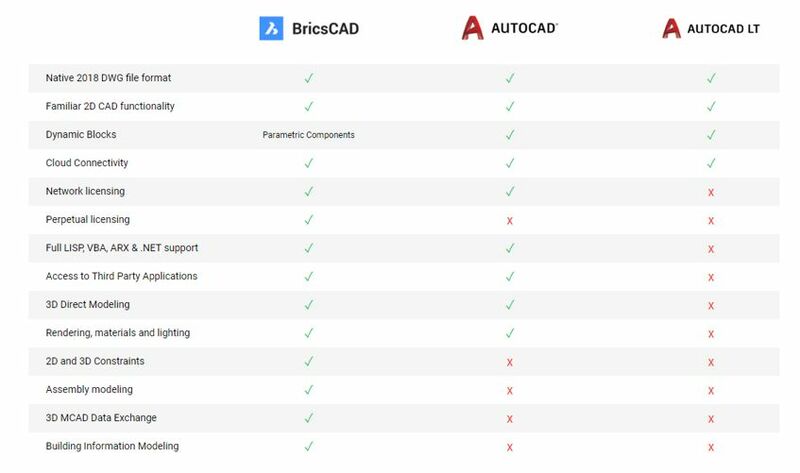 Among its growing community of users, BricsCAD is best known for its feature-rich combination of 2D drawing and 3D modeling. 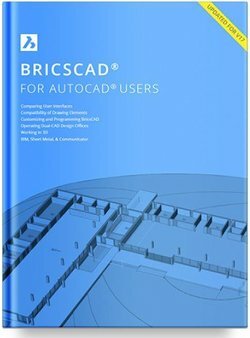 (PDF – 386 pages – Free eBook) tells you everything you need to know about making the switch from AutoCAD to BricsCAD’s newest release. BricsCAD® is more affordable with perpetual licenses starting from $635 for Classic, $850 for Pro, and $1,200 for Platinum. See the licensing cost saving table further down. 100% native 2D/3D DWG file support. Can read, edit, and save AutoCAD files v2.5 to .DWG 2018. Built-in architectural direct modeler with SketchUp SKP import, IFC import & export, and built-in BIM database.